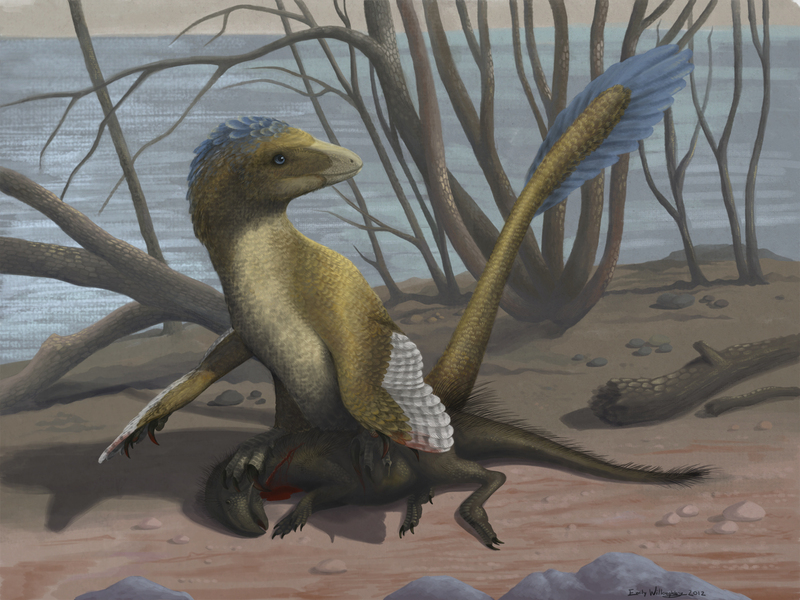 This is another illustration based on research by Fowler et al, which discusses a likely possible method of predation by Deinonychus and other dromaeosaurs (the "raptor prey restraint" model, or RPR). This excellent publication is available free to download. 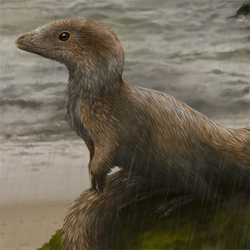 It suggests that the unique foot morphology of dromaeosaurs was an adaptation to take prey in a very similar manner to extant birds of prey: by grasping with the foot claws, digging in with the hypertrophied "sickle" claw, and tightly hanging on to the prey animal as it struggles and thrashes around. 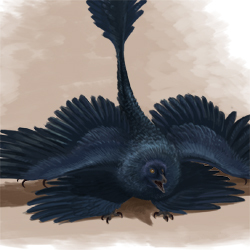 The dromaeosaur would then begin to feed on it while it's still alive, until it finally dies from blood loss and organ failure, all the while standing on top of the animal to pin it down (a likely use of the unusually short ankles found in dromaeosaurs) and using primitive flight strokes with its "wings" to maintain balance. Here Deinonychus antirrhopus is depicted atop a generic psittacosaurid.